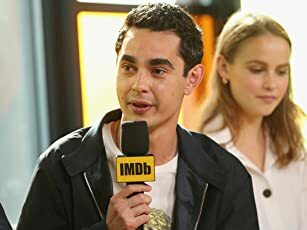 Open-mic night on the Isle of Wight, singing to her horse and dancing alone in her room, shy 17 year old Violet (Elle Fanning) needs a lot of luck to become the pop star of her dreams. But according to Vlad, the sole person that claps for Violet on open-mic night, luck has nothing to do with her talent. A former opera singer and famous in Croatia, Vlad just might know what he is talking about. 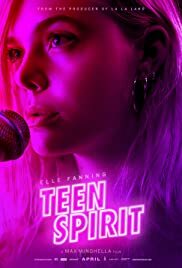 With Vlad encouraging Violet to work on her breathing and range of voice, and despite thinly veiled threats from Violet's single mom as well as from competing singers, the odd duo enters a televised musical talent program called Teen Spirit. "Sing from your heart" says Vlad "it's your soul and spirit that people will see." Helpful advice, but a lot of people want to tell Violet what to do and she does not know who to trust. Despite a wee bit of predictability, Teen Spirit is powerful, genuine and electrifying. Fanning is ideal for the part. Her moods, alternating from hopeful to despair, are perfectly compatible with her character as well as the ups and downs of the story. The music and singing are wonderful too. "I am dancing on my own, right over here," Violet sings "why can't you see me?!" All I wish for is a little more depth to the dialogue. Seen at the Toronto international film festival.